Windy conditions make a problematic weekend for football, but it was a weekend with goals, thrills, controversial decisions, suspect questionable officials calls and a brilliant win for the reserves. The Reserves take the top bow with an incredible 4-1 win over Herts County Premier side Chipperfield ( first) in the Aubrey cup quarter-final at the Boundary Stadium. 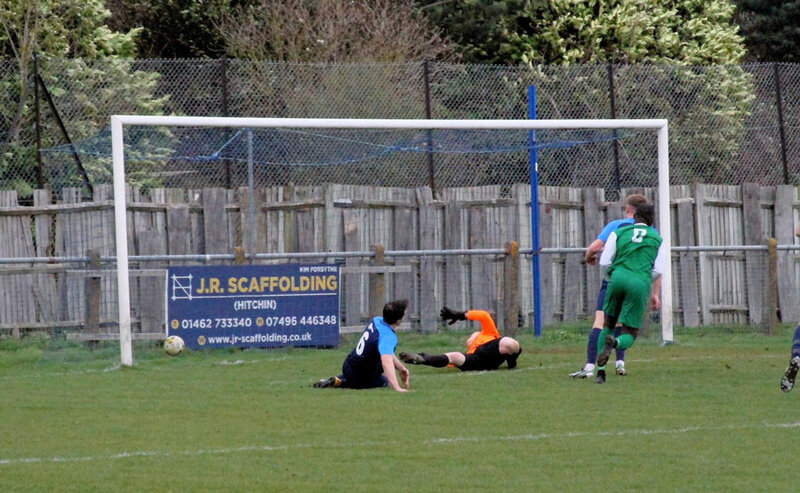 The Reserves took a 2-0 lead before Chipperfield pegged them back and at 2-1 it was clear the next goal was critical. Jets thought they had it, but an assistant’s flag denied them. 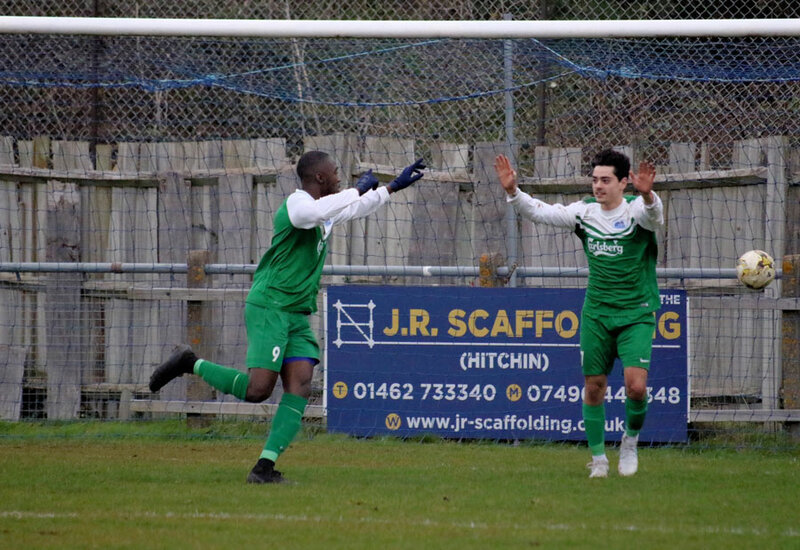 It was short-lived relief for the visitors, and two more strikes took us to a home semi-final tie for our Herts county intermediate cup finalists. The first team had a tough match again up the A1, and it was to be our first blank trip of the season, not helped by the missing men again. Jets kicked with the gales in the first half and did not make the most of the massive wind advantage and approached half time with a single goal lead when Kyle Johnson slotted a superb ball from Henry Marku. Arlesey though had then mastered the conditions and been getting on top for the final fifteen minutes playing some excellent football to slot under the keeper for 1-1 at the break. The task for Jets was now huge against the constant wind. The players were given “tasks” by coach Ryan Jackett, and it geared up Jets for a fantastic effort that so nearly paid dividends. Jets had far more of the first part of the second half and grabbed the lead with superb football that involved three and finished off with a booming shot by youngster Sean Giordmaina 1-2. It should have been increased when Giordmaina burned off the defenders to slide the perfect ball to Kyle Johnson for the goal slot, but the attempt was inexplicably wide by the usually deadly point man. 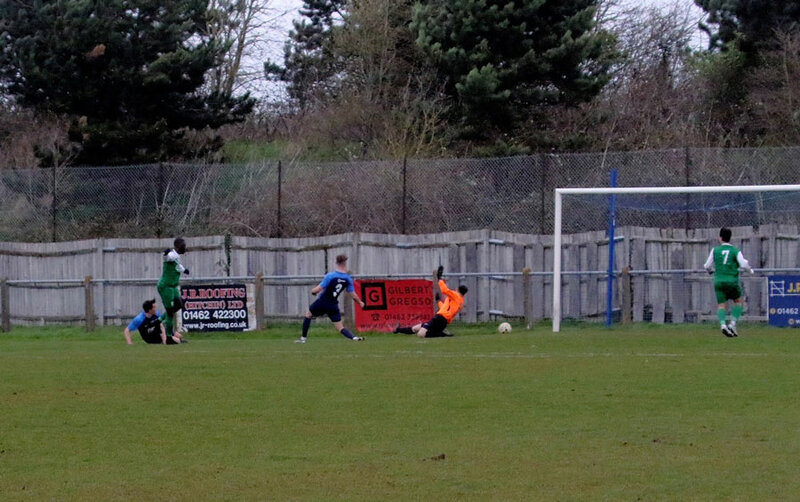 Jets kept up the pressure and a defender and goalkeeper combined to stop a blistering shot by Giordmaina going in the net as Jets luck was right out today. Unfortunately, fitness is not top of some players priority and enforced changes did cause some problems and allowed the hosts to get the upper hand as Jets reshuffled and they had multiple chances but again mainly caused by conditions they blazed high and wide. The massive turning point was a refereeing decision I’m still shaking my head over; the referee had a very very good match, so I was both disappointed and amazed at what I witnessed. 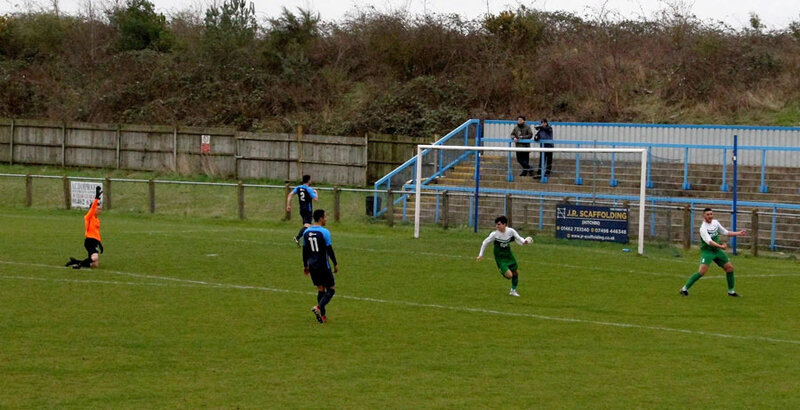 Nick Kerley was played in 1:1 on the keeper wide on the edge of the box. He pushed the ball, and the charging keeper committed the challenge, ball and player contact and the referee only about 10 yards away no hesitation straight to the spot. The usual protests followed then a few minutes later to everyone’s amazement the referee went to the assistant on the far side of the pitch, at least 60 odd yards away, AND who would have had no view once the keeper dived and spread except the back of the keeper !! The decision overturned to a throw-in. How comes week in week out we see assistants who won’t give a throw in until the ref points with a finger then we get Superman with super long x-ray vision on a match. Jets wobbled now and apart from a lob by Ollie Lawford that the keeper just stopped going in were holding on. 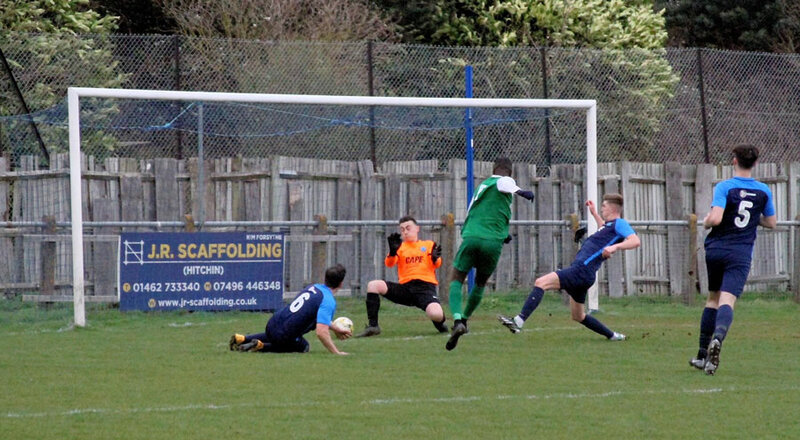 The Arlesey equaliser came when overplay lost the ball, and the hosts swung quick, and despite Evans attempt to cut out the unmarked winger he drove hard and low, and it was turned in unmarked at the back post. Jets legs went, and the home side finished Jets off in added time with two late wind assists to kill us off. In fairness, Jets won a couple of weeks ago, and it was a late goal where a draw was fair, today the opposite was to happen when a draw was decent for two very evenly matched sides. Was it playable today, no but it was safe and pitch OK but just a farce with the conditions. 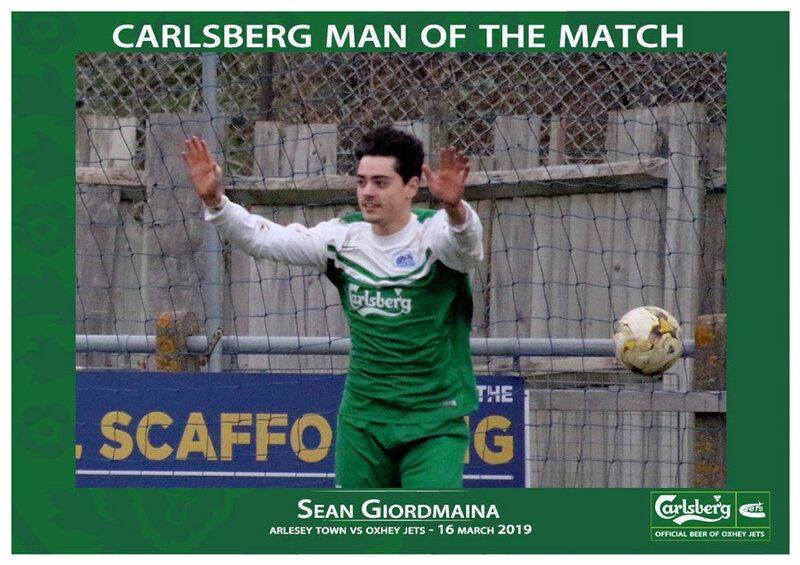 Man of the match was a unanimous decision going to Sean Giordmaina who supplied high energy and almost all Jets second-half chances, but a special mention for coach Ryan Jacket who planned his game and instructions and it was minutes and a hell of a windy referee’s decision away from paying off.